If you have borderline personality disorder (BPD), it's very common to feel like you want to quit therapy. In fact, it is quite natural to get frustrated with therapy or your therapist or to feel like psychotherapy is not working anymore. 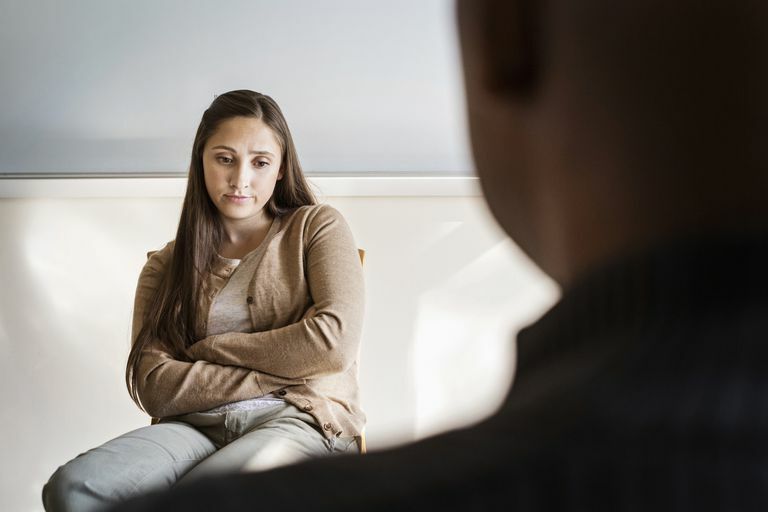 But many people leave therapy before they have reached their treatment goals—research shows that about 47 percent of people with BPD leave treatment prematurely. Quitting therapy is a big decision, so think through your reasons and your treatment goals. Now that you have a list of your reasons for wanting to quit therapy, put a star next to the biggest reasons so that you can discuss them with your therapist. Perhaps you are embarrassed to discuss dropping out with your therapist because you don’t want to disappoint or offend him. Or maybe you don’t trust her enough to discuss it with her. Whatever your reason, addressing your concerns about therapy with your counselor may help. For instance, if you want to quit because of money or because of your schedule, your therapist could perhaps work out a payment plan or agree to meet you after her main office hours. She can also give you a referral to another therapist if you feel like you're not clicking with her or making enough progress. Don't be afraid to begin this discussion. It's highly unlikely that your therapist has not had a discussion such as this before. Therapy brings up many emotions, and it's very common for people to want to give up or to feel that nothing will really help. Be as honest as you can be. Keep in mind that your therapist does what she does because she wants to help people. Is It the Disorder Talking? In some cases, the symptoms of BPD can convince you to quit therapy. If you experience splitting, you may view your therapist with suspicion or dislike which could cause you to drop out of therapy too early. People with depression as part of BPD can have periods of hopelessness and extremely low motivation, which can make them want to drop out of therapy as well. In both of these cases, a therapist can help you think through what is in your best interest versus what your disorder is “telling you” to do. Another technique that can help you decide whether to drop out of therapy is called the pros and cons tool. This is a tool that is taught in dialectical behavior therapy and can be a great way of thinking through many different kinds of decisions. Once you complete the pros and cons tool, think more about what direction you want to head in. Does quitting therapy still seem like a good idea? Or, is it becoming clearer that another path might make more sense? If quitting therapy still seems like the right choice, does this mean quitting therapy outright, or just changing therapists or the type of therapy you are receiving? Think through all of your options to make the best decision for you. The bottom line is that there are many reasons that people drop out of therapy and sometimes these are unavoidable. But sometimes people drop out of therapy prematurely without thinking it through and talking to their therapists about it. If you are sure that you need to drop out, consider other avenues of treatment. And, whether you choose to continue working with a therapist or not, continue to work on your skills for coping with borderline personality disorder. Finally, before leaving therapy, make sure you have a safety plan for BPD in place. Alesiani, R., Boccalon, S., Giarolli, L., Blum, N., and A. Fossati. Systems Training for Emotional Predictability and Problem Solving (STEPPS): program efficacy and personality features as predictors of drop-out -- an Italian study. Comprehensive Psychiatry. 2014. 55(4):920-7. Khazaie, H., Rezaie, L., Shahdipour, N., and P. Weaver. Exploring the Reasons for Dropping Out of Psychotherapy: A Qualitative Study. Evaluation and Program Planning. 2016. 56:23-30.